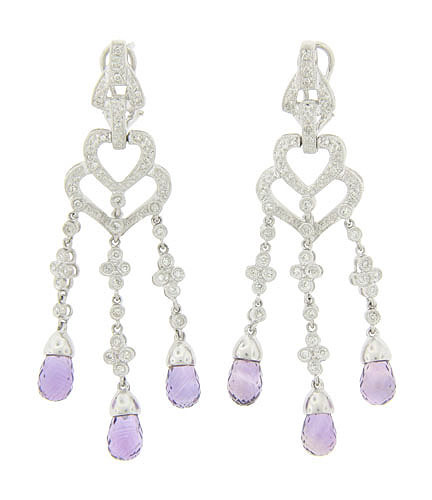 Faceted amethyst briolettes dangle from a trio of floral inspired diamond set figures on these estate earrings. Diamond frosted figures drape from the handle shaped post. The earrings are crafted of 14K white gold and finished with levered and post backs. The earrings are set with .40 carats of amethyst and measures 2 1/4" in length, 5/8" wide.